Solids constitute a large part of our lives as we utilize solids more than liquids and gases in our day to day activities. 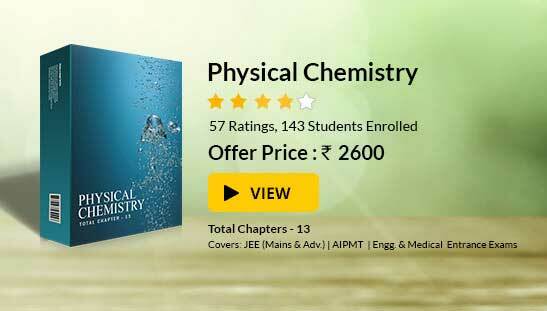 Generally a solid is defined as a substance which has rigidity, fixed shape, and size. But what makes solid different from gases and liquids? The nature of particles of matter and the binding force between them varies with solids, liquids, and gases. For Example, the particles of matter in liquids and gases are free to move inside the structure adding to its property of fluidity. 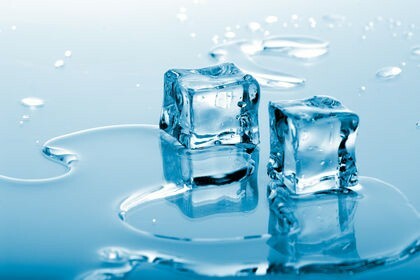 On the contrary particles of matter inside solid remain stationary in their position, leading to the reason why solids don’t flow like liquids and gases. Also, the space between particles of matter in solids is quite less as compared to liquids and gases. This is the reason why solids are rigid in nature as the constituent particles are closely bound to each other. The study of solid state is all about exploring the nature, arrangement, and forces between constituent particles. Example: Electronic Gadgets, Books, Table etc all solids depict property like rigidity and have high density. All the first three intermolecular forces are collectively called Van der Waals Forces and are responsible for the existence of solid. The energy acting between constituent particles of matter in a solid is known as Thermal Energy. Thermal energy is also called Kinetic Energy and is responsible for motion of molecules inside solid lattice. Thermal energy increases with increase in temperature. And hence more the thermal energy faster will be the movement of molecules. At low temperature the value of thermal energy is low and intermolecular forces are stronger. This resists the flow of molecules and adhere them to oscillate about their mean position. 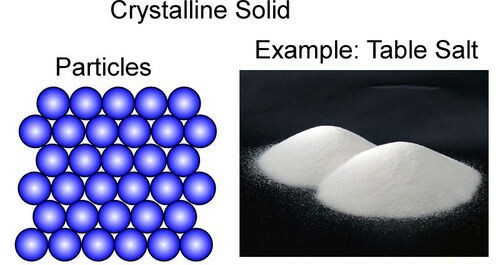 The solids in which the constituent particles are arranged in a regular manner are called crystalline solids. They are also known as True Solids. In the crystalline solids, the particles of matter are arranged regularly in a three-dimensional network called A Lattice or Crystal Lattice. 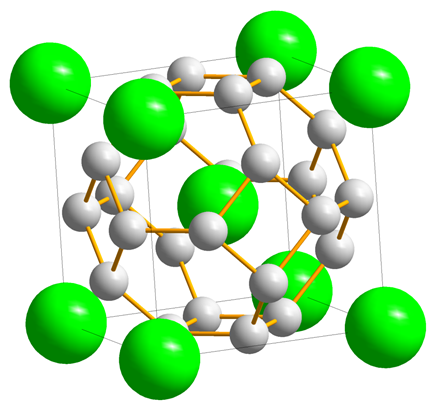 There are many points of a crystal lattice and each point represents a constituent particle of matter inside solids. These points are known as Lattice Points or Lattice Sites. Example: Sodium Chloride (NaCl), Copper, Iron, Sulphur, Phosphorus etc. 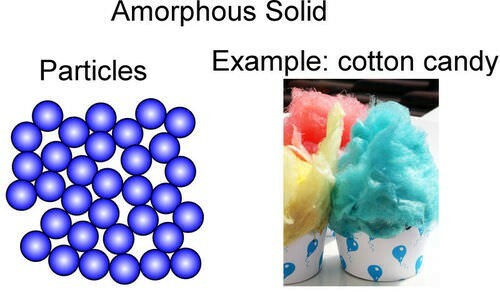 The solids in which the arrangement of the constituent particle is irregular and not fixed are known as Amorphous Solids. Amorphous solids have a tendency to flow slowly, hence they are also known as Pseudo Solids. Examples: Glass, Gels, Polymers etc. Glass, an example of amorphous solid is used widely as a major industry component like in buildings, window panes etc. 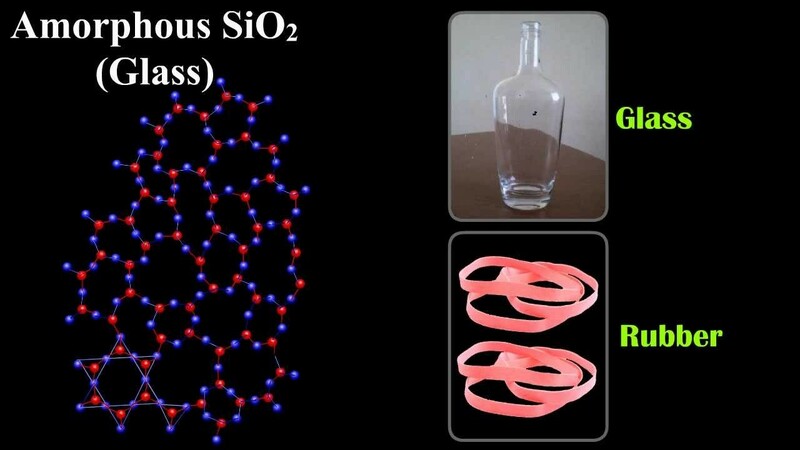 Know how to calculate Packing Fractions of crystals.